As most of you know, I am a Stella & Dot stylist. I could not be more proud to be associated with such a great quality, styled and (honestly) addicting brand. When you see me, you would probably recommend that I hire a stylist. I can never seem to pull off that polished look. My hair has flyaways, my nails are always chipped and I’m usually wearing jeans with a black shirt. It’s true that the look may have worked for Steve Jobs, but I’ve decided I needed more colour in my life. 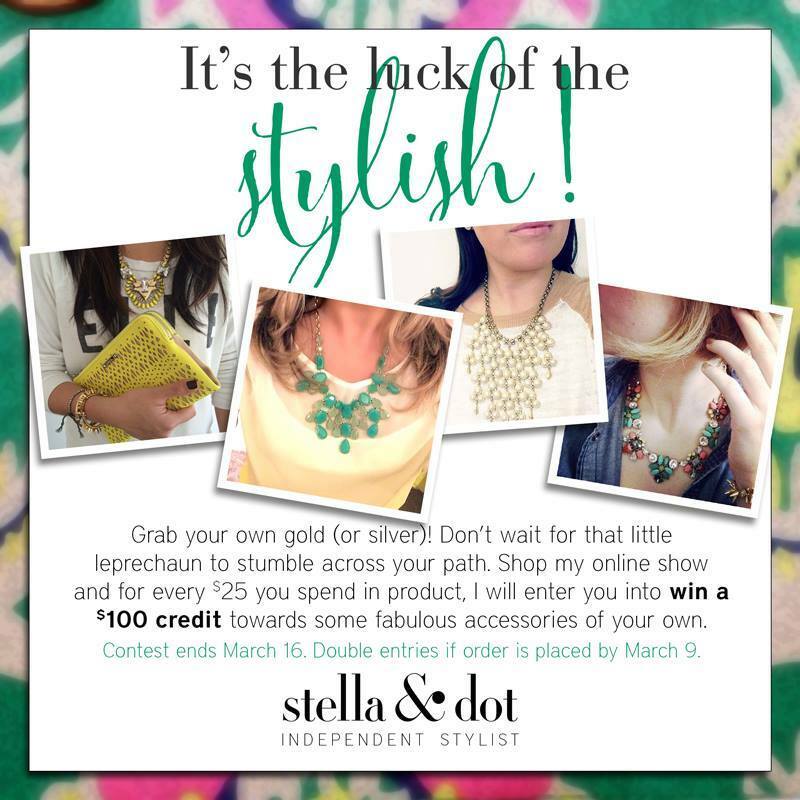 I fell in love with Stella & Dot the first time I attended a show. The pieces were versatile and had the ability to change a plain black tee into something posh. I struggled wondering if I would be able to pull off the look and went back and forth on whether this was the right business investment. Last year I decided to jump right in and never looked back. It’s a lie if people tell you it’s easy money because like everything else in life, you get what you put in. And like every other job there are some challenges and some really big wins that make it all worth it. Not only has being part of the Stella & Dot family added some extra income but it’s allowed me to meet some really great women and continues to challenge me to motivate myself. I’m a dreamer and having my own business has always been something that I wanted to do. As my jewellery collection grows, so does my confidence to venture out of my comfort zone and take chances. The best part is that in addition to black, there is now pink, green and blue hanging in my closet so for that my mother is thankful. She hates black! All this to let you know that I’m running a contest this week on my facebook page https://www.facebook.com/MarBairStellaDot For every $25 spent, you will be entered to win $100 in product credit. Contest ends on March 16th. Good luck and may the luck of the stylish be with!